8 Winners will be selected in this free international giveaway. 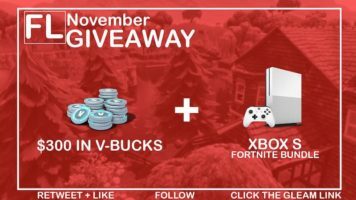 The first winner will receive an Xbox One S Console with an Exclusive Skin, and 5,000 V-Bucks. The remaining winners will all receive 5,000 V-Bucks (worth $40) each.